Here is Pandora in a rare moment of wide-eyed alertness, watching a grackle which had landed on the ledge outside. 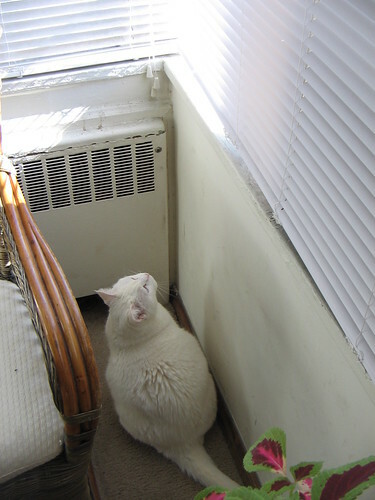 The bird eventually flew off, and Pandora didn’t figure out that she could see the ledge better from the chair. Also included: a bunch of other photos from the last two weeks.